Eight Million New Yorkers. One Future. At a time of major political divisiveness and civil angst that permeates the news cycle, Mike Tolkin wanted to achieve tangible action at the local level. Tolkin is an entrepreneur at heart, passionate about ideas, technology and people, and after leading several start-ups, decided to pursue something bigger— the role of Mayor of New York City. Mike Tolkin’s goal was to transform City Hall by applying business principles to solve the city’s major issues, while ensuring it remained a leader in innovation and equality. Knowing there were significant hurdles ahead, he began laying the groundwork and came to Brand Knew in need of branding, creative digital media strategy and web development. Brand Knew worked collaboratively with Mike to streamline his vision and develop a campaign that was reflective of, and authentic to, his core values. 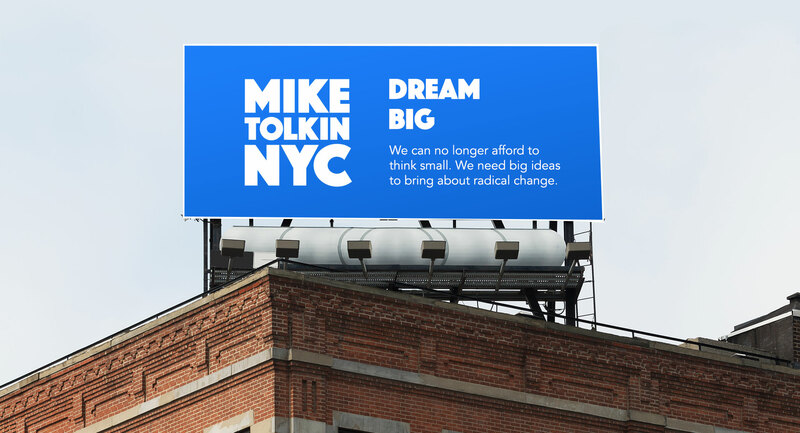 The campaign moniker, Tolkin For Mayor, was supported by a bright color palette and bold typography that could carry forth the banner of hope and weight of an impactful movement. 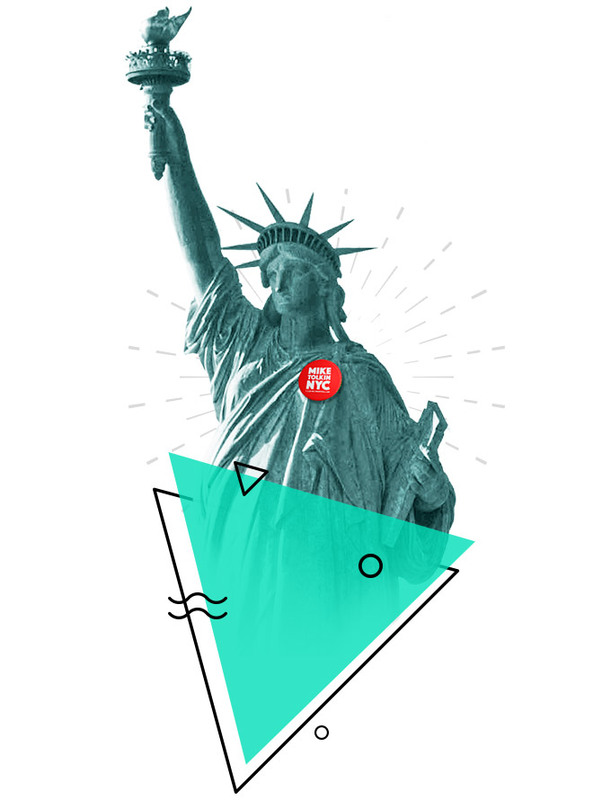 Brand Knew and Tolkin decided on an untraditional approach to political campaign social media. Instead of focusing on Tolkin as a person, social media accounts made the case for the candidate by being policy-centric. 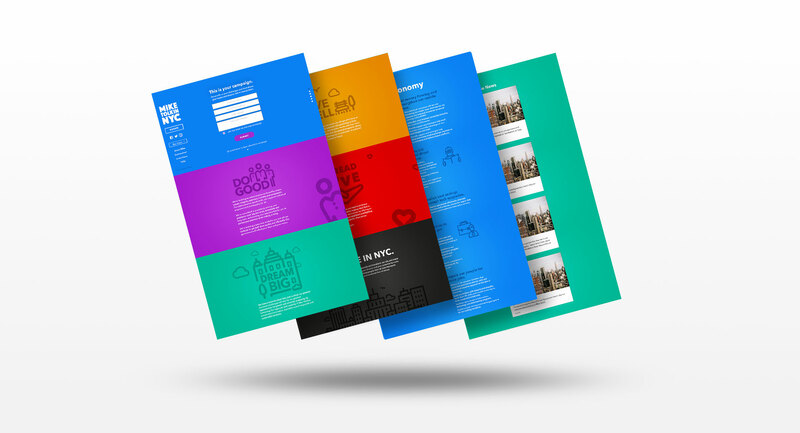 Embracing the brand color palette, social assets were vibrant and highlighted key campaign objectives. This progressive direction inspired the development of an authentic campaign website. Where typical candidate websites were monotonous and mundane, Brand Knew produced an unconventional experience. Utilizing custom design elements and interactive components, TolkinForMayor.com transformed into a user-friendly, campaign resource hub. Brand Knew understood that Tolkin’s key demographic lives online. To optimize campaign engagement, reach and awareness, Brand Knew hyper-targeted likely supporters through policy-specific language and messaging, focused on their interests and behavior. The campaign reached four million people on Facebook, generating conversation through radical ideas and inventive policies. Mike Tolkin’s revolutionary approach to politics earned over 20,000 votes in the Democratic primary. Determined to get to City Hall, Tolkin ran in the general election with his Independent party, Smart Cities. He received nearly 11,000 votes in the general, earning more votes than household name and other Independent, Bo Dietl. This election has not stopped Mike Tolkin. With plans for 2020 and beyond, Tolkin is eager to continue challenging the status quo.